A Material That Is Far Superior To Vinyl And Wood. It Looks Better, It’s More Durable, And Has A Terrific Warranty. 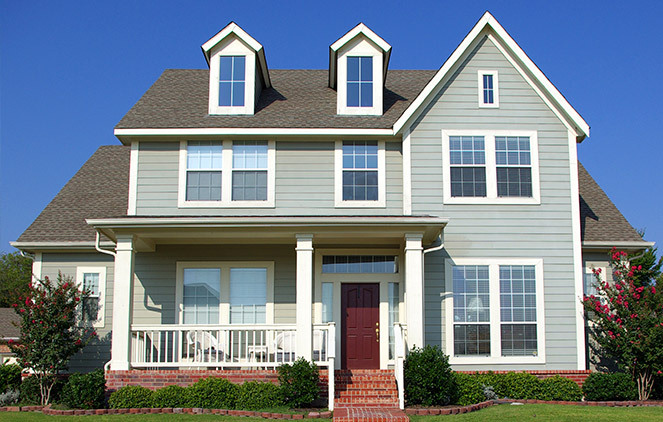 Typically when homeowners think of siding installation in Raleigh NC, they think of traditional wood choices or vinyl. Wood usually looks better than vinyl, but it’s subject to rotting and requires too much maintenance. Vinyl is definitely less maintenance than wood, but it has a “plastic” look. It is also subject to fading, denting, and cracking. There is a better way. Fiber cement siding in Raleigh is growing rapidly in popularity with homeowners – and for very good reason. It looks better and is stronger than vinyl. It is more durable than wood and requires virtually no maintenance. 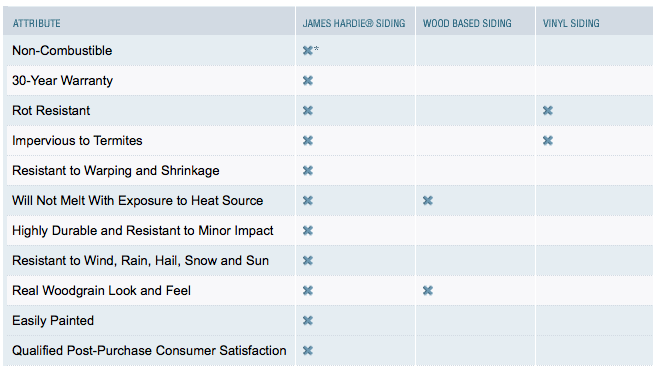 * HardiePlank, HardiePanel, HardieShingle, HardieSoffit, Artisan Lap comply with ASTM E136. The Best Fiber Cement Choice Is James Hardie Siding. For more about James Hardie Siding and our installation, please visit our siding page.